Once you have your graphics designed and produced at Signs Now Blaine, our team of experienced professionals will provide direction and installations for all of your graphics. With differing state and local codes, it is important to ensure that you are working with a knowledgeable team when planning the placement of your product. At Signs Now Blaine, our technicians arrive on site with a fully-equipped vehicle to get the install job done with quality workmanship. 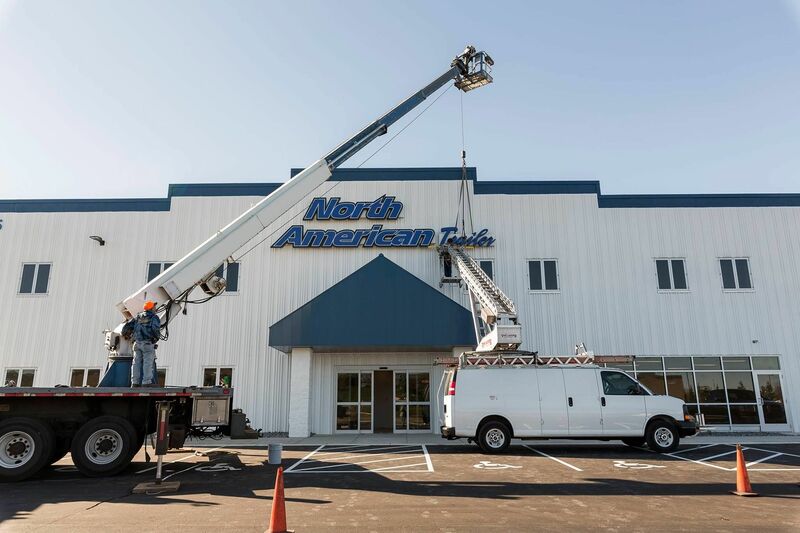 With the latest tools and technology, we are ready to provide you with top-notch installation service for your sign. At Signs Now Blaine, quality is the goal of the installation process. The signs are being installed with all product specific requirements in mind. We make sure that the sign is well placed, visible and all steps to ensure its durability are taken. Our sign installation teams are well organized and very knowledgeable. The rich experience of Signs Now Blaine is an integral part of our team-building process. Installing a sign on site or at the center is part of the process of creating unique signs that stand out. We make sure that the signs are installed free of defects and looking great. Eye-catching signs send a strong message to the audience and, when properly installed, can support the business goals of the organization. When installing our signs at Signs Now Blaine, we make sure that our customers are completely satisfied with our well-organized process and professional services. Customer satisfaction is very important to us. We collaborate with the customer’s time, deadlines and all necessary details regarding sign installation. The sign installations are done in a clean and professional manner.